I got an email recently from the Online Marketing Manager at the publisher of Isa Does It! She asked me if I would like to receive a review copy of the cookbook. Are you kidding me? 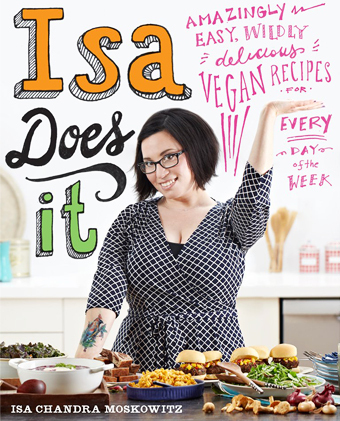 Isa is my vegan hero. I have said that at least 100 times over the last few years on this blog. She has written a whole bunch of cookbooks and maintains thePPK.com, her website with lots of great recipes and photos. It is totally my go to site when I need a good idea like when people ask me for a pumpkin pie recipe. I don’t have one. Here is Isa’s. But that has all changed. Remember the PPK/Chopped Vegan Dessert Challenge last summer? I made Fresh Mango Coconut Ice Cream with Strawberry Red Beet Sauce & Toasted Maple Coconut Rice Crunch. Isa saw my post and wrote, “WANT!” and even though I didn’t win, that was good enough for me! Well, Isa Does It! is probably the best vegan cookbook I have ever seen. I basically fell in love on page 2. It is the kind of cookbook I was looking for when I first became vegan and tried to figure out how to cook. Not too many strange ingredients. No crazy new techniques or machinery. Straight forward explanations. Great pictures of basic, normal food that happens to be cruelty free. Before the recipes, Isa offers a glimpse into her cooking journey (I could totally relate), how she gets through the week, what equipment she loves (we are talking cutting boards and spatulas here), and the required pantry stocking section. In the old days, this was the part that would stop me but this book does not have anything intimidating in it. The next section is called Vegan Butchery – so smart. It is a primer on how to cut tofu and tempeh. Now, let’s talk recipes. How about butternut alfredo? Romesco sauce? Scrambled chickpeas? Or tempeh meatballs? I have been working on my own version of a falafel burger and there is a recipe in this book for one which makes me so happy – like she read my mind. 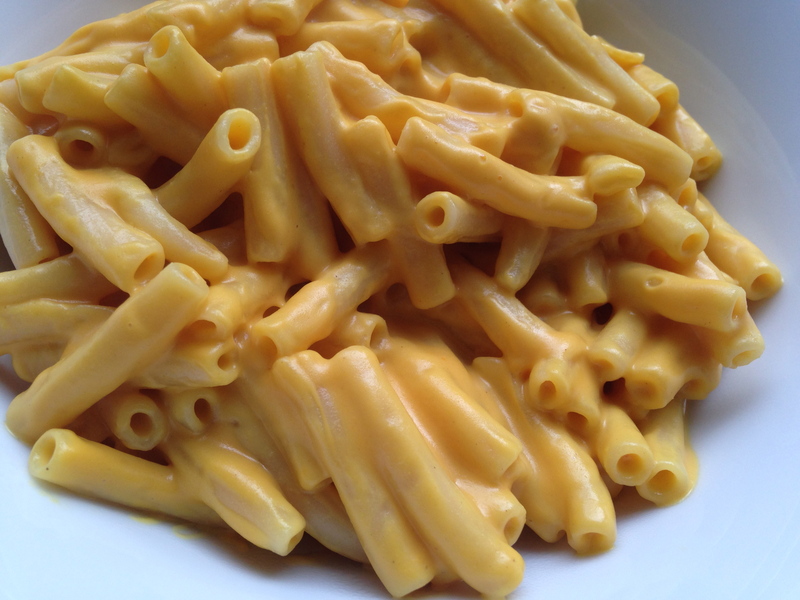 And of course, the holy grail of vegan cooking, mac ‘n cheese. The recipe is called Roasted Red Pepper Mac & Cheese and it was the first I tried. Hello! Look at the perfection in that bowl. I like to use these long macaronis because the whole thing reminds me of that old blue box but of course, it’s way better. The base is roasted red peppers and luscious cashews. The recipe is on page 118 and there is a great video on theppk.com. In the “Here Are A Few Simple Preparations” section, on page 236, there is a great recipe for Garlicky Thyme Tempeh. Not only is this a great combination but Isa suggests broiling the tempeh. BRILLIANT! 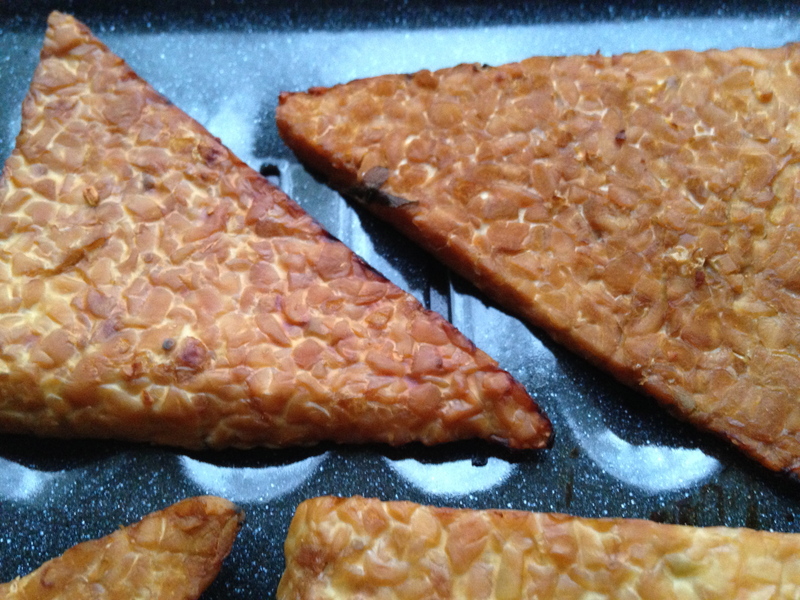 I had never thought of that and it is such a great way to get the perfect crisp on the edges. That is how I will be finishing off tempeh from now on. I have only one gripe. The font is kind of small which means that either the font is too small or it is time to get glasses. Go out and get this cookbook now. Let me know how your cooking adventures go. Enjoy! Reblogged this on And Now … YOGA.